Cutting flowers to make bouquets is very easy. 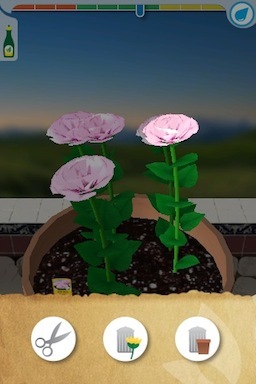 Tap on the flower itself (not the stem) and you’ll get an action menu with three options. Tap on the scissors button, and the flower will be cut and automatically added to your bouquet.